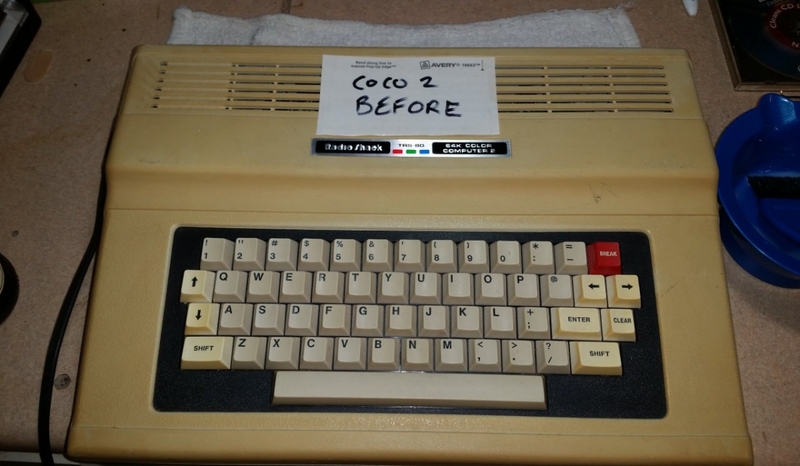 Retro – CoCo 2 Restoration! As well as having a passion for retro games and FPS, we have a passion for retro computers! I myself like to restore them to their former glory. 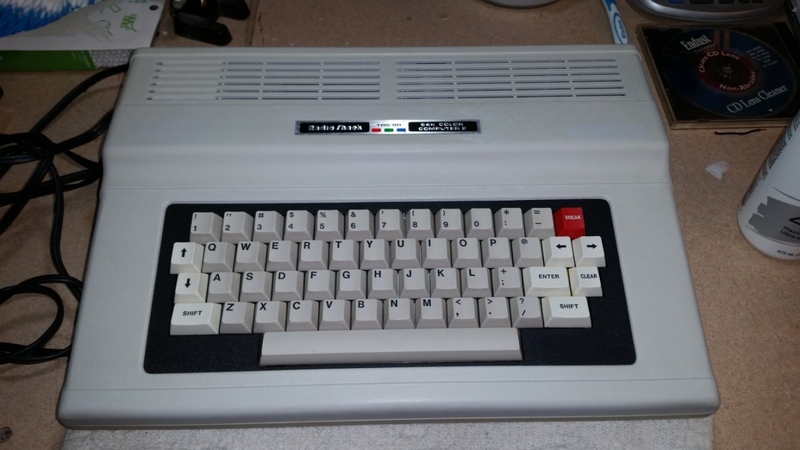 Below is some restoration pics of a Radio Shack (Tandy) Color Computer 2 64K, model number 26-3127. This is the first 64K Color Computer 2. It contains the Extended BASIC ROM, the “enhanced” keyboard, and 64 kilobytes of RAM (naturally). Otherwise, it is identical to the 26-3026/26-3027. The RAM is soldered in place in those machines which were factory-equipped with 64K, making replacement thereof a bit more difficult if necessary. For this reason, the 26-3026 and 26-3027 variants are my favorites! 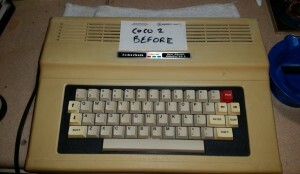 I will post more details of the restoration process later!